Basic gesture of swipe to control movements of a robot can be quite interesting, and may add intuitive interactive dimension to electronic projects. I have published in this blog several tutorials on 8051-based robot controlled with bluetooth-enabled cell phone. 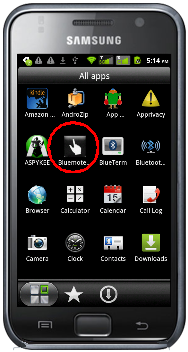 Also most recently I have published a tutorial for Android phone using button images on device’s touchscreen. Android being open-source, attracts a large following, and hence there are many different ready-made solutions. With a little bit of coding, and imagination, one can design different projects using solutions that are already available, or modifying or improvising on them. 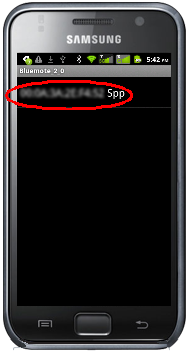 All you need is your Android’s camera and a barcode scanning application. 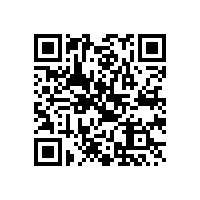 You may use Barcode Scanner app from ZXing Team. It’s available as a free download from the Android Market and works with all versions of Android. If you are absolute beginner with App Inventor, the excellent resources and tutorials found at MIT’s App Inventor site are very good and easy to follow. After you have played with the control of the robot, you can disconnect by pressing Disconnect button on top right of Android screen. 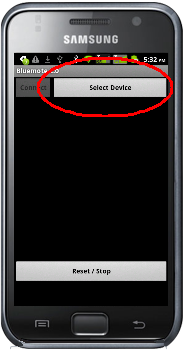 Clicking the menu button of your phone you can close the app. This project adds a new feature into existing Robo-51 projects. 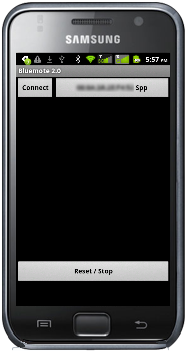 The main objective of this actual project was to achieve, with little work, similar results to those obtained with Java-based Nokia N97 and Blackberry Bold 9700. I can now tick as successful this project on basic gestures of swipe for Android. This entry was posted in Mobile Apps, Robotic Projects and tagged Android, App Inventor, BlueMote, Bluetooth, Control, Control a Robot, Gestures, Inex, Robo-51, Swipe, Zx-Bluetooth. Bookmark the permalink. Welcome to my blog. Thank you for your comment. I will check speechRecogniser. Welcome to my blog. Thank you for your comment and kindness about my work.